I am excited to announce that I've taken on a writing position at a brand new website called Next Generation Baseball. The website features high school and college students like myself who hope to someday have a career of some sorts within major league baseball. The website started up a few days ago, and there's already some really good content from across the major leagues. This means that things I write there in the future may relate more to a general audience then Blue Jays fans specifically. With that said, I do still plan on writing here on Blue Jays specific topics, although I will likely write less frequently then I have to this point. When I started this blog about a year ago, I couldn't have imagined the support and views which I've gotten. I would like to thank each one of you for reading this blog. This would surely have been a lot more tedious and difficult without your support. If you wish to read my works at Next Generation Baseball, click here to view my author page. I've already written an article about what Jose Bautista meant to the Toronto Blue Jays and I would appreciate it if you checked it out. Another great thing about NG baseball, is that there's actually editors, which should help me limit what many of you would consider to be suspect grammar. I would like to thank you all one last time for continuously reading this blog. Your support was very much appreciated over my past year of blogging. 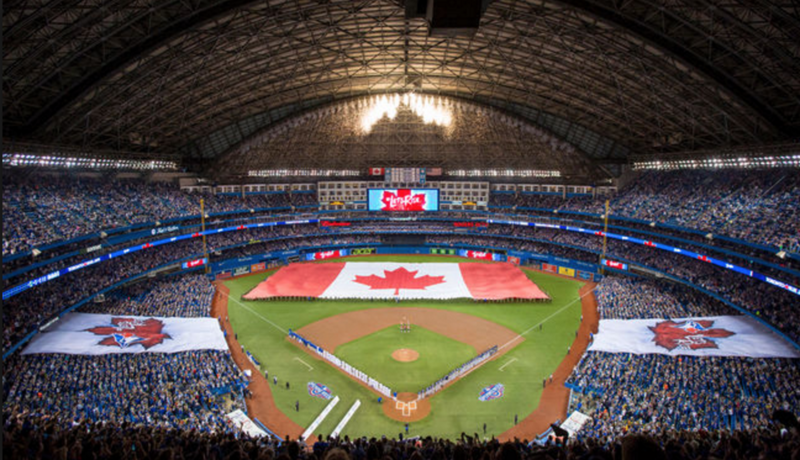 With the 2017 season winding to a close and the Toronto Blue Jays well out of contention, it’s finally time to start thinking about what moves and direction this team needs to take with hopes of improving in the future. Regardless of what is responsible for the abysmal performance of the club, the fact remains that this team needs to progress in several areas if they hope to compete. Since the team just recently signed Marco Estrada to a 13 million dollar extension, the Jays are likely going to try improving their club by acquiring one more starting pitcher, one more outfielder, a backup middle infielder who can hit reasonably well, a backup catcher who can both hit and throw at a respectable level, and possibly some bullpen additions. Barring a significant increase to the Jays player payroll, the odds of them filling all of these holes to a strong level is low. I expect the Jays to have somewhere in the neighbourhood of 20 to 30 million dollars of budget space after arbitration, which is a lot of areas where the Jays need to improve relative to their financial situation. Obviously this is gonna call for Toronto’s move to be financially efficient, meaning that finding value in players who are cheaper than alternatives in free agency. So what if there was a way to acquire a competent and mostly proven 5th starter without exhausting your player payroll? What if I also told you that this could be without sacrificing any prospects or hoping for a miracle (Shohei Otani) in free agency? Well in my opinion the Jays already have this player, and he goes by the name Tom Koehler. Okay me, let’s not get carried away. Acquired this August for a rather uninspiring prospect, Tom Koehler is by no objective metric an elite major league pitcher and he has also struggled immensely to the tune of a 6.69 ERA in 70 innings this season. That said, he was a solid if unexceptional 5th from 2013-2016, where he recorded 4.14 ERA in a hair under 700 innings pitched for the Miami Marlins. This leads to the first question of whether or not Koehler is capable of return to his previous form and pitch like a capable 5th starter? On the surface, there isn’t much reason to expect this downward trend to continue in 2018. After all, his walk and strikeout rates are more in less in line with his career norms, his BABIP isn’t inexplicably high, and his velocity is actually up from what it was in 2016. Perhaps the biggest reason for Koehler’s regression in 2017 is an absurdly high HR/FB rate of 19.3%, up 8.1% from his career average. This problem with the long ball and obviously a significant reason for his struggles as a whole in 2017. However, a record was set last Wednesday for most home runs in a season across baseball, so obviously home run rates are up across the league. That said, HR/FB rates have only jumped up by 0.9%, from 12.8 to 13.7% this season, not nearly enough to explain a jump of this magnitude. My best explanation for this is probably that Koehler has had simply had significantly worse batted ball luck with regards to home run rates compared to his career norms. The fact of the matter that assuming Koehler can keep his newfound home run problem in check, which is quite possible, then he should be good enough to contribute in a back of the rotation starter capacity. This leads to the second question, which is whether or not Tom Koehler is actually better than the other options this club has for a 5th starter. Names like Joe Biagini and Brett Anderson have been tossed around of late as potential candidates for this role however I believe that both of these two are less qualified than Koehler. Joe Biagini has struggled in the rotation this season, and although the underlying peripherals indicate that bad luck has played a sizable role in his struggles, it’s probably better for this club to stash Biagini in the AAA rotation and using him as depth in the event of an injury instead of having him as the 5th starter on opening day. As for Brett Anderson, his overall talent level is probably a little better than that of Koehler, but his tendency to suffer injuries make him too unreliable an option to seriously consider for a 5th starters role. Given that Koehler is better than other in house options, serious improvements to this rotation would have to be made through acquisitions of players outside the organization. SInce Mark Shapiro and Ross Atkins have be hesitant to move talented prospects since taking over personnel operations, I doubt that would change with the Jays performance seemingly in decline. This leaves free agency as the only logical route for the Jays to make rotation improvements. Tom Koehler is going to cost the Blue Jays roughly 6 million dollars in arbitration, but his weak season could even lead to Koehler costing less of the club was to non-tender him. If we say that Koehler is going to pitch about 175 innings of 4.50 ERA ball, a rather plausible projection, then the Jays could conceivably have a solid 5th starter at a fraction of the cost of most free agents. In my opinion, bringing back Koehler, even at 6 million dollars, makes more sense then hypothetically signing CC Sabathia for 10-12 million dollars for roughly the same projected production. Given their long list of needs, the only starting pitcher I’d agree to sign is Otani, but he’s both a rare case of an international free agent who’s young enough to still be cheap in 2018 and an exceptional talent who’s a long shot to sign with the Jays. Think of it like this, would you rather sign Sabathia and Jon Jay to fill our pitching and outfield needs or roll with Koehler who’s on roughly the same talent level and sign a more talented outfielder like Lorenzo Cain? It’s a question of financially efficiency, where it doesn’t make sense for a team to pay for a player who might be 10% better then the option they already have, but is going to cost twice as much. Tom Koehler, for all his struggles in 2017, is quite possibly the answer to the Toronto Blue Jays current 5th starter problem going into next season. His numbers indicate that this season was likely more of a mirage then a significant decline, and he’s the Jays best realistic option for the 5th starter relative to the price and talent level of the individual player. HOW MUCH WORSE CAN WE MAKE THE 2017 BLUE JAYS? It’s safe to say that at 67-77, the Blue Jays 2017 season has gone rather poorly. Team team is all but guaranteed to miss the postseason, and at 11 games below .500 with the club only getting older, the immediate future looks somewhat bleak. Although the Jays have performed rather poorly this season, I decided to determine how much worse this team could theoretically be. Over the course of the this disappointing season, 60 different players have suited up for the Blue Jays at some point this season. These players have had various degrees of success, so I decided to handpick 25 of the worst 2017 Blue Jays in order to determine just how much worse this season could be going. After analysis of some very rough state lines, I have put together a 25 man roster of the worst possible 2017 Blue Jays imaginable. Leading off we have ian Parmley, who recorded -0.1 fWAR in 4 PA for the Blue Jays this season. Despite the small showing, the minor league centerfield is leading off due to having some of the better speed in this hypothetical lineup. On deck is Kendrys Morales, who despite putting up a passable 97 WRC+, has been so ineffective in other areas of the game that he is deserving of a spot on this roster. Up third is Michael Saunders, followed by cleanup hitter Ryan Goins, who’ve managed to produce an unexceptional -0.6 (including his time with the Phillies), and -0.7 fWAR respectively. Following up these two is the power hitting catcher Jarrod Saltalamacchia, who was so terrible the Blue Jays decided to cut him in favor of Luke Maile and his -22 WRC+. After this comes a series of infielders who have combined to produce a staggeringly bad -1.7 fWAR, and an outfielder despite leading the Blue Jays in WRC+ over 5 PA, managed to produce a -3 WRC+ in AAA before his season ended with an injury. Given that this team has carried 8 relievers for most of the season, I decided that doing so in this hypothetical roster would be appropriate as well. All three of Alford, Maile, and Ohlman have produced negative fWAR to this point in the season and how else could you make as terrible roster as possible without including 3 catchers. Plus, it’s fun to imagine just how much worse this bench could be without a true infielder! Performing the duties of ace on this abysmal team, is starter Nick Tepesch, who’s -0.4 fWAR makes him the perfect candidate for the number 1 starter's role. Coming up behind him is Mat Latos Casey Lawrence, who combined for 5 April starts and ERA’s of 6.60 and 7.94 respectively. Bringing up the rear of this rotation is Mike Bolsinger, who recorded a 5.61 ERA in 5 starts with the Jays, and Cesar Valdez, who managed just 1 quality start and a replacement level fWAR in 3 opportunities. The final piece of this team is our bullpen, which features plenty of pitiful arms which manager John Gibbons should have at his disposal. Our 2 best relievers are Jason Grilli and JP Howell, who combined to produce a staggering -0.9 fWAR. Following them is the rather unimpressive Chris Smith, who recorded a 5.40 ERA in his brief action this season. Also available to Gibbons is Glenn Sparkman, and Taylor Cole, who each produced impressive ERA’s of 63.00 and 36.00, good for worst, and second worst among Jays relievers this season. Of course, we also have an extra pair of lefties in this bullpen, consisting of Jeff Beliveau and Matt Dermody, who have produced a unremarkable -0.2 and -0.4 fWAR this season. Lastly, as this club's long man, Lucas Harrell and his his 7.11 ERA seems like a solid candidate for the job. This hypothetical team of players I’ve assembled would win roughly 42 games based on individual WAR’s produced by players this season. This team would be awful, no matter how you slice it. But the point of this article was to show that although the Jays are not in contention for a playoff spot, and have had a rather disappointing season overall, it could be a lot worse. Nearly everyone, myself included, has been and will continue to be quick to criticize various players and aspects of the Jays ball club this season. That said, I hope that all of us agree that changes need to be made and that the club has better fortunes moving into next season! You would think a left handed pitcher with a career minor league ERA of 3.32 would get serious attention as a potential building block of a franchise. You would think a 23 year old with a combined ERA of 2.93 across the top three levels of the minor leagues would get the attention of a potential rotation cornerstone. You would think prospect with solid command, a clean delivery, and above average movement would get the attention of a being at worst, a Top 100 prospect. Yet despite doing all of the above, I’m willing to bet most of you have never even heard of Ryan Borucki. Borucki currently ranks as the Blue Jays 14th ranked prospect by mlb.com and was quoted as having a fastball “with late movement that helps him generate ground-balls.” MLB’s list also gave Borucki a grade of 50 on the 20-80 scale, which translates to roughly league average or 2 WAR per season. 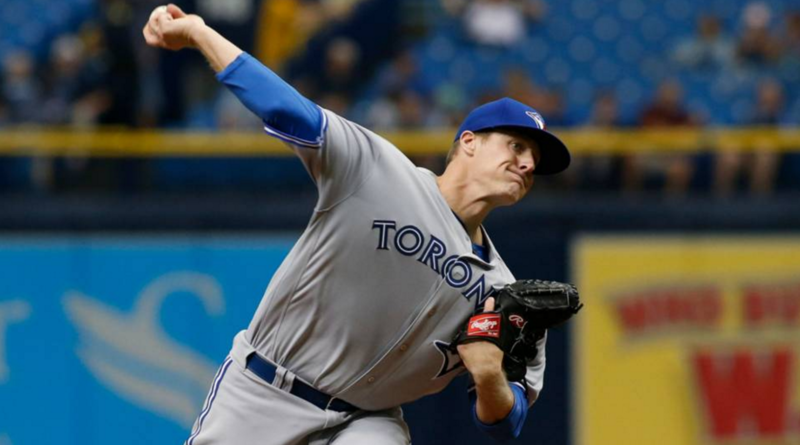 Despite this positive outlook, in past seasons, pitchers like Conner Greene and Sean Reid-Foley have gotten far more attention despite generally having inferior results to Borucki. The reason for this likely rests at least partially in fastball velocity, where Borucki tops out at 92 compared to 97 for Reid-Foley and 101 for Greene according to their respective Baseball Prospectus player pages. It’s easy to be wowed by high radar gun readings yet despite this Borucki has managed to achieve superior in game results compared to these peers. Although extra velocity certainly wouldn’t be a detriment to Borucki, it’s also been proven that good results are often possible in spite of weaker average velocity. As a result, perhaps this is a case where we need to consider more than just a pitchers velocity in evaluating the overall talent level of a particular pitcher. Beyond just their individual results however, another reason to discuss Borucki is his potential to help the team this season. Borucki made his first career start at AAA yesterday, tossing six innings of shutout ball with six strikeouts. The Buffalo Bisons’ schedule would result in this being his final minor league start of the season. A promotion of this type at this point in the season is likely an indication that Ryan Borucki is going to get major league playing time this September. Players don’t usually get called up to a higher level just to make one extra start before the season ends, which therefore makes it more likely that Jays management decided to increase the level of competition which Borucki is going to face before a call up to the highest level. In addition, Ryan Borucki is already on the Blue Jays 40 man roster, and the Jays would therefore be able to call him up with no losses in terms of personnel on this roster. The expansion of September rosters should also enable a Blue Jays team which is out of contention for a playoff spot to try playing some of their younger prospects with less limited or no big league experience. Unless the Jays elect to finish the season with a 6 man rotation, I do have a somewhat difficult team seeing Borucki get time as a starter. Marcus Stroman, J.A. Happ, and Marco Estrada are not going to be removed from the rotation unless injury strikes, the club wants to evaluate Joe Biagini’s potential as a starter next season so it’s unlikely he ends up leaving the rotation. This leaves Brett Anderson as the only starter I could possibly see Borucki replacing in September, although I anticipate the Jays would be interested in keeping Anderson in this role in order to evaluate his potential as a potential swingman candidate. Given his career history however, it’s reasonably likely that Anderson could get injured some time between now and the end of the season, in which case, Borucki should be the replacement. Even if it’s not in a rotation capacity, the signs seem to indicate that Borucki will still be called up to the big club. If Borucki was to come up in a relief capacity, then he could still be quite useful. The bullpen has been severely overworked this season, and a recent decline in performance among relievers like Roberto Osuna, Danny Barnes, and Ryan Tepera should indicate that additional rest is required. I suspect that Borucki could often be used as a multi inning reliever in order to limit the usage of these three as much as possible, and the expansion of September rosters should keep this possible on days when Borucki is unavailable to pitch. Ryan Borucki is an under appreciated, legitimate, major league prospect with left handed starter’s potential. Although he’s been overshadowed in the past his results indicate that he is a much better prospect then we’ve been led to imagine. His potential call up to the big leagues later this month should be a further indicator that Borucki is an arm on the rise, with enough talent to contribute meaningfully to the big league club in the future. 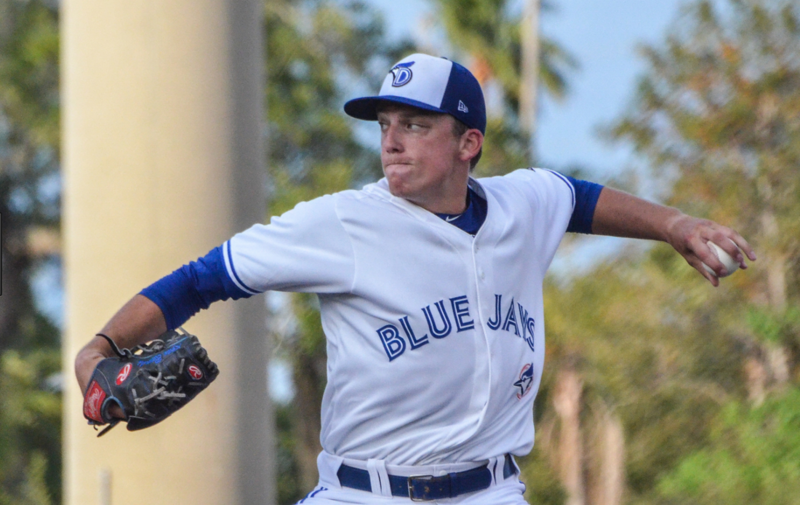 It’s time we all starter talking about Ryan Borucki, he’s the best Jays prospect you’ve never thought about. 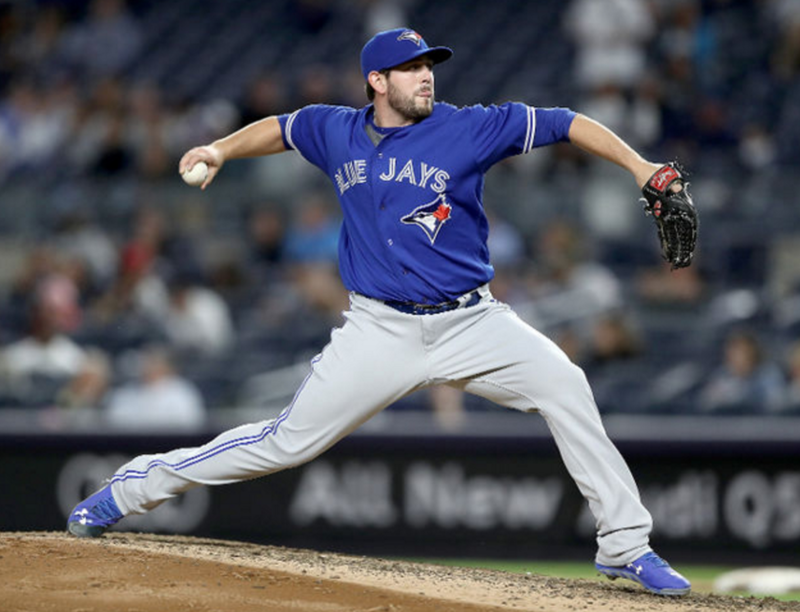 On a team which features underperformance across various areas of the club, a few of the Toronto Blue Jays somewhat minimal bright spots have included their overperforming bullpen. All-Star closer Roberto Osuna has been a dominant reliever ever since he stepped into the big leagues, newly appointed has impressed with both quality performance, and a quantity or innings pitched out of the bullpen, and Danny Barnes has impressed with solid middle relief and an exceptional beard ever since the season began. The bullpen has definitely been one of the clubs biggest strengths thanks to solid performances from this trio, as evidenced by ERA’s of 3.12, 3.19, and 2.81 for Osuna, Tepera, and Barnes respectively. Despite these strong performances, Dominic Leone has arguably performed better than any other reliever in this bullpen, having himself managed to record a bullpen best 2.63 ERA to this point of the season, while having received far less attention than these other members. It’s obvious just from looking at this number that Leone doesn’t get enough credit for being a critical and dominant member of the 2017 Blue Jays bullpen, and this is a result of a few factors. He hasn’t gotten the attention he deserves thanks in part to only ended up on the opening day roster thanks to Osuna starting the season on the DL, having been acquired through a waiver claim from the Arizona Diamondbacks, and having been shuffled between AAA and the bigs several times this season. Before the season started Leone was not one of the extra relievers I identified as having a strong chance to contribute significantly to the big league roster, and yet he’s managed to record a top 30 fWAR in all of baseball among relievers. This puts him ahead of several “elite” relievers including all stars such as Wade Davis, Brandon Kintzler, and Indians closer Cody Allen. With such a dominant performance, it’s a wonder why Leone hasn’t gotten more attention for being one of the best relievers in baseball. It’s fairly obvious from a glance at the numbers that Dominic Leone has become one of the been very good, but how has he managed to do this, and is it sustainable or simply the result of good fortune? One way Leone has managed to perform in such a way has been his dominant cutter, which generates whiffs at a rate of 23.75%, and is thrown 35.89% of the time. His cutter has managed to produce 2.24 inches of horizontal movement, just 0.2 inches less than Mariano Rivera managed to achieve throughout his legendary career. As a contrast to Leone’s cutter however, he’s used his four seam fastball 3.83 inches of horizontal movement in the opposite direction. However, Leone has managed to throw his 4 seamer at a fairly similar rate of 45.38%, which is keeping the righty unpredictable. In essence, Leone’s two most prominent pitches, which are thrown at very similar velocities (5.87 mph difference), at relatively similar rates (9.49% usage difference), yet have massive differences in horizontal movement (5.78 inches) are simply hard to hit. It’s pretty easy to imagine how this would lead to success for Leone, whether it be through whiffs, or weak contact. Either result from opposing hitters should lead strong results for the righty, and to this point in 2017, they have. WIth such a dominant pitch combination, it’s easier to understand how Leone has become an effective reliever, and there is solid evidence to suggest that his success is sustainable. During his rough 2015 and 2016 seasons, the differences in both pitch usage, and horizontal movement were reduced dramatically, and assuming Leone’s horizontal pitch movement can continue to be this good, and the usage of these two pitches remains relatively in line with what’s been done to this point in the season, then I expect him to continue to be an elite reliever. Dominic Leone hasn’t gotten enough recognition for just how good he’s managed to pitch this season. He’s been one of the best relievers in all of baseball, and has managed to do this thanks to dominant stuff and intelligent pitch usage. Thanks to this lethal combination, Leone has become a very impressive reliever in 2017, and I would expect this to continue through the rest of the season and possibly beyond. To call the Toronto Blue Jays season a disappointment at this point would be a massive understatement. Several pitchers have underperformed, their defense has declined immensely compared to last season and most of all, the offense has regressed to a level where Justin Smoak hits cleanup and nobody questions it. This has lead to a laundry list of areas the club needs to improve on going into the trade deadline, and quite frankly some of these needs are getting vastly overlooked. As a result of the lack of publicity and discussion these important needs are getting, I decided to break them down for myself, and expose the multitude of weaknesses which currently posses the Blue Jays organization. I’m just gonna come out and say it; the Blue Jays social media presence is weak. All the Jays accounts do is simply state what events which happened, and are already known by the vast majority of the audience they have. If the Jays really want to improve in this regard than some type of deadline move needs to be made. For example, one move the Jays could make would be acquiring the Athletics instagram guy, who made this reply following a sweep of the Yankees. The price might be high but the rewards would surely be worth it. Plus, we know Billy Beane is willing to make obscure trades after he held out for the inclusion of soda in a trade during the 2002 deadline. As for twitter, the obvious option would to try developing the Jays current twitter guy, an option which would be largely encouraged by the current Shapiro and Atkins considering their style of development. Unfortunately, the club doesn’t have the time necessary to develop their him/her into a real contributor, and should therefore consider a more Anthopoulos Esque move. One option includes paying a heavy price to acquire the Rockies twitter guy, who probably wishes to upgrade to an account with nearly 5 times as many followers. The price would be steep, but Colorado has shown a willingness to move franchise stars before (Hi Tulo), and the move could have significant short term gain for the Blue Jays. Another option could be to call up the Fisher Cats twitter guy (who's talented, not only young) directly from AA and see if he/she can contribute to the big league account. I asked the Fisher Cats account if they were interested and replied with this. Although they denied interest in the big league job, I suspect this is more to protect his colleague's emotions rather than a denial of interest. Either option would be solid but no matter what, the Jays have to make a noteworthy move to improve in this regard. Have you thought about why the Jays have yet to put Roy Halladay on the Blue Jays Level of Excellence yet? Do you wonder whether Vernon Wells is worthy of being on this esteemed list? Maybe you just know Edwin Encarnacion and Jose Bautista are gonna end up on this level someday. If you can’t comprehend why these players aren’t on the Level of Excellence already (even though Encarnacion and Bautista are still active in the MLB), I present the only logical reason for this problem; the lack of letters available. Sooner or later, they’re gonna have to put Halladay on the Level of Excellence, and the Jays should use the trade deadline leverage other clubs into providing letters of their own. This would allow the Jays to save costs, resulting in increased ability to fully pay the soon-to-be albatross contract of Troy Tulowitzki. Although an opposing team's font may not be ideal on the surface, this would also give the Rogers Center a unique feature which it currently lacks. Plus, none of the future Jays Level of Excellence members played exclusively for Toronto, so some of their other teams would surely be interested in providing their own letters! It’s no secret that Ezequiel Carrera has struggled with hitting the cutoff man at various points this season. This primary result of this is advancing baserunners thanks to poor these throwing decisions, so the Jays should acquire someone who might have a chance of teaching Carrera how to hit a cutoff man, especially since the clubs internal efforts to do so have been unsuccessful to this point. Steve Pearce taking over the left field job has largely resulted in Zeke being used almost exclusively as a defensive replacement. If he wishes to become valuable in this area, his throwing decisions are going to have to improvise by a sizable margin. Acquiring the rights to an exclusive defensive tudor such as Joe Carter could make the difference, since Zeke appears to be doing the opposite of what logical defensive coaches have tried to teach him. At this point, every run counts, and the Jays need Carrera to improve if they wish to see a sizable defensive improvement over Steve Pearce late in games. If I’m being completely honest, there has been some improvement in the commercial department during Jays TV broadcasts this season. In particular, the WestJet commercials featuring Aaron Sanchez have been adorable, especially the one which with the cute puppy. However, these improvements have been largely offset by a handful of creepy, disturbing, and annoying commercials which are a significant detriment to the broadcast. In past articles, I've spoken against the infuriating Sportsnet Now commercials, so instead I’m going to discuss another particularly cringely bothersome advertisement; the new Dairy Queen commercial featuring a rather awkward finale. The beginning of the commercial is rather forgettable, however the end includes a teenage employee who replies to the notion that he’s filled with kindness with the quote “actually I’m full of chicken strips, just got off break”. As a fast food employee of a similar age to the actor playing the commercial, I can insure you that 80% of us would reply with a simple thank you. The other 20% would wither giggle and blush excessively or terrifyingly run away having been creeped out. Also, never in my time as an employee have I told, or seen someone tell a customer what they had on break, exposing further inaccuracies in addition to the obviously disturbing nature of the commercial. It could be worse however, we could have the BMO talking ball commercials from the Raptors games. I don’t even care about the return, if the Jays can manage to get rid of these DQ commerciale, it would make the broadcast significantly more pleasant for the fans. Last among the Jays big trade deadline needs is a serious improvement from a fashion standpoint among members of the television broadcast. For example, Arash Madani’s suits always appear to be far too big when I see him on the television, especially in the shoulders. Buck Martinez also needs to add something to his wardrobe besides a plain, pale, pink, dress shirt. However, my complaints on the outfits of these members of the broadcast pail in comparison to my views on the wardrobe of Gregg Zaun. 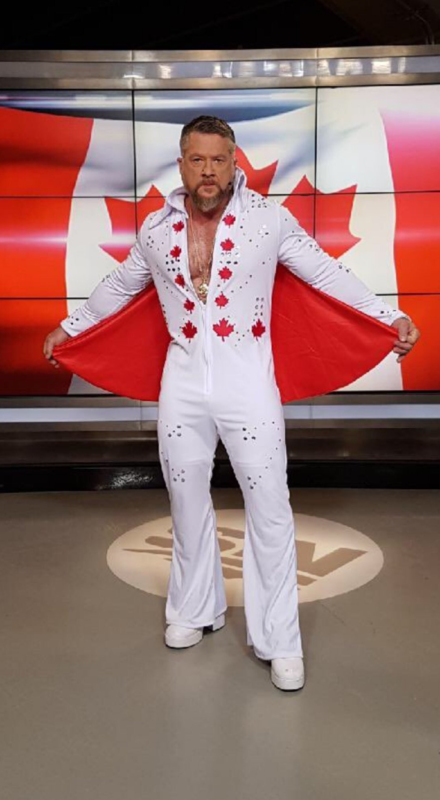 If you need evidence of Gregg Zaun’s awful wardrobe, look no further than his Canada Day getup, which honestly speaks for itself. If your eyes still work well enough for you to continue reading, then let me just say that this isn’t exactly a one-off irregularity for Zaun. Earlier this season for instance, he was heavily criticized for wearing a bright pink suit while accusing Stroman of attracting too much attention to himself and being unsportsmanlike. This obvious hypocrisy is further exposed with regular viewership, as Zaun regularly wears deliberately outfits in effort to become a baseball version of Don Cherry. Unfortunately, sports television is generally moving away from the big personalities, so perhaps the Jays could trade the rights to their limited games of Matt Devlin’s play by play for a functioning microphone and a suit to be named later in effort to rationalize Zaun somewhat. That concludes the trade deadline moves the Jays need to make this deadline. Although many these needs have fallen under the radar somewhat, the is an instrumental need to improve in these areas. The needs range across a wide variety of Blue Jays related components, almost all of which have struggled throughout this season and if the Jays want to become a premier franchise both on and off the field, some of these move should be made. If nothing else, it would make your fans very happy to see deadline decision of the sorts. STARS, STARTERS, OR BUSTS: WHAT CAN WE REALISTICALLY EXPECT FROM VLADIMIR GUERRERO JR. AND BO BICHETTE IN THE FUTURE? 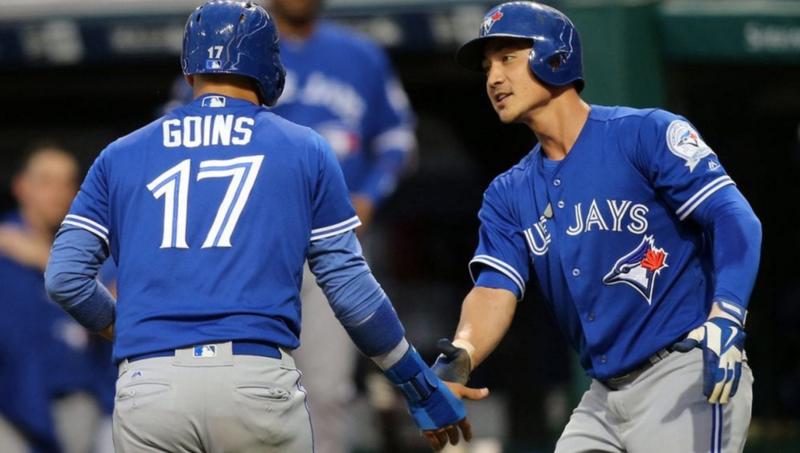 At 41-47, the first half of the Toronto Blue Jays season has been suboptimal to say the least. The club has declined defensively, experienced severe regression from several of our pitchers, and has generally failed to score sufficiently enough to win ballgames. As a result of our decline, the desire for an optimistic aspect of the organization has led many to search outside the major league club and into Jays prospects. Enter Vladimir Guerrero Jr. and Bo Bichette, a pair of position players who’ve impressed the masses with solid offensive performances in the minor leagues this season, leading some to hail the pair as the Jays next great duo. Guerrero Jr. and Bichette’s first half performances have been strong enough to see their stocks rise significantly especially in Top Prospects lists. For example, Baseball America's Midseason Top 100 Prospects List saw Guerrero Jr. and Bichette ranked as the 2nd and the 44th respective prospects in baseball. Additionally, Baseball Prospectus' Jeffrey Paternostro ranked this pair as the 13th and 29th respective prospects. The hype for this pair of minor leaguers is extreme, with major league projections envisioning future contributions ranging from average major leaguers to outright stars. But if we look at their talent from a realistic, historical perspective, what probability do they have of actually meeting or exceeding these expectations in their future. In order to determine these odds, I decided to investigate past prospects and attempt to identify trends which were applicable to the prospect duo. According to Bo Bichette’s player page on Baseball Prospectus, his realistic role is as a 50-grade, major league regular with overall future potential as an above average, 60-grade middle infielder. If we rely on the Fangraphs interpretation of the 20-80 scale, Bichette would have to be worth approximately 2.0 fWAR to reach his 50-grade potential, and 3.0 fWAR to reach his 60-grade ceiling. 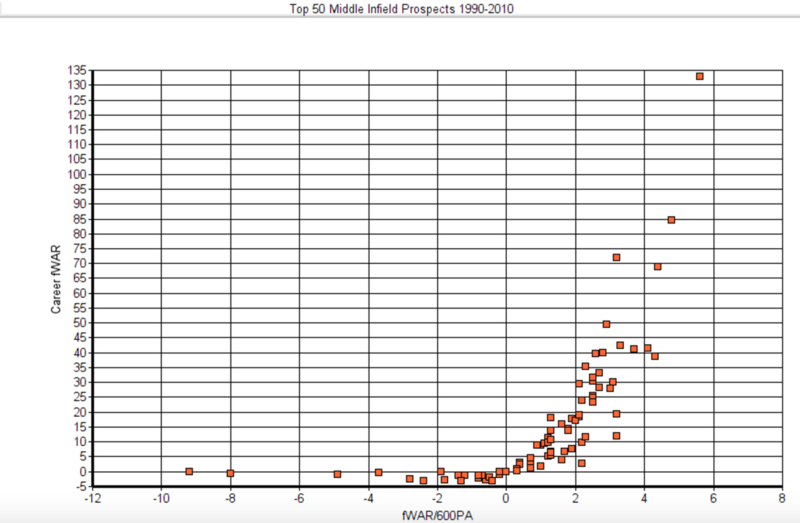 Prospects ranked between 1-50 on Baseball America Top 100 Prospects Lists from 1990-2010. 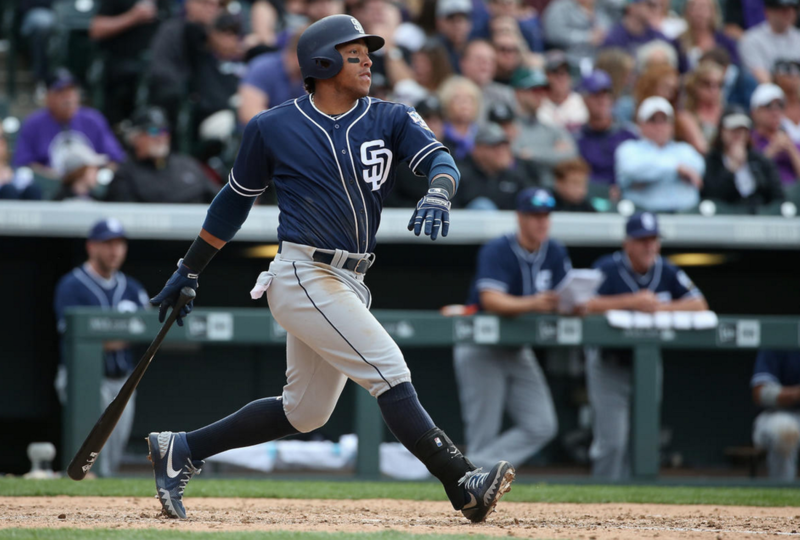 Lists before 1990 were not easily accessible and lists since 2010 were not included because the recency of players arrival in the MLB, or their continued minor league development. Prospects had to be listed as either shortstops (Bichette’s current position) or second base (Bichette’s rumored future position). However, prospects were still included if they changed positions later (unless change to pitcher), most notably, Chipper Jones and Miguel Cabrera. If we assume that the odds are the same for Bo Bichette as they are to the comparables included, there is an “bust potential” (sub-replacement level) of around 25%, and a “star potential” (3.1 or greater fWAR PA), which is only about 16%. In addition, Bichette has just a 39% chance of being worth 50-grade, 2.0 fWAR/600 PA in his career, despite that total being described as a “realistic role” in Bichette aforementioned BP player page, and just a 16% chance of reaching his overall future potential. Bichette’s ceiling may seem rather low when compared to the successes and failures of the past but what about Vladimir Guerrero Jr.? 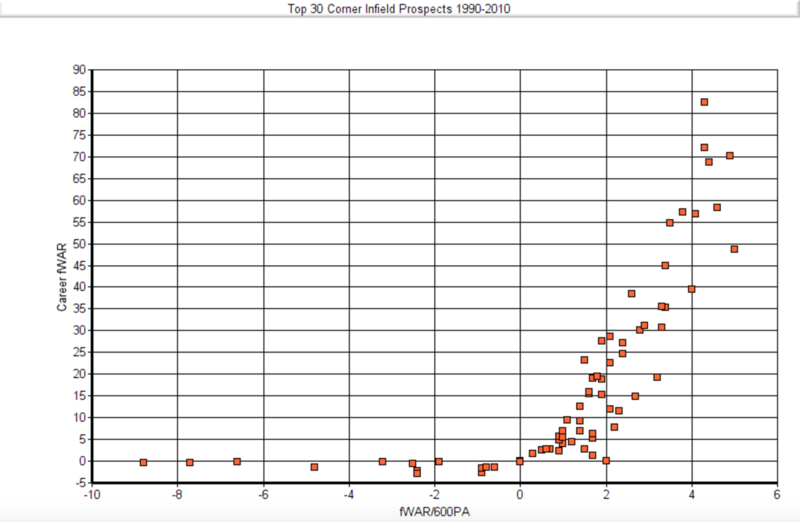 Fangraphs' KATOH Projections believe he will produce 18.9 fWAR during his first 6 MLB seasons, and if we assume he gets 600 plate appearances per season, this translates to about 3.2 fWAR/600 PA.
Prospects ranked between 1-30 on Baseball America Top 100 Prospects Lists from 1990-2010. Prospects had to be listed as third baseman (Guerrero’s Jr.’s current position) or first base (Guerrero Jr.’s rumored future position). However, prospects were still included if they changed positions later. In terms of corner infielders, 73 players meet the requirements. I repeated the same process as was done with Bichette, which produced the following results. Of the two prospects, Guerrero Jr. is less risky prospect, with just a “bust potential” of about 22% as opposed to 25% for Bichette. There are a couple reasons for this however, as according to SB Nation's Royals Review, found evidence that both higher rated prospects, and corner infielders tend to succeed more at the major league level than lower ranked, middle infield prospects; these are areas where Guerrero Jr. is at the advantage. In addition, Guerrero Jr. also has a higher “star potential”, with about a 21% chance for 3.1 or more fWAR/600 PA as opposed to his fellow infield prospects 16%. However Guerrero Jr. doesn’t have as much of a chance of succeeding relative to expectations as Bichette, thanks to a higher realistic 55-grade outlook and a overall potential value of 65, which are around 29% and 10% respectively. For all the numbers and percentages displayed, there question of how well they could combine to perform in the big leagues still remains. The possibilities range from both flaming out miserably to both becoming significant stars, so I decided to use the data I collected to decide what the likelihoods of various performance outcomes from these two players are. Here are my results. If you’re having trouble with the odds, let me help you break it down. There’s a 17.75% chance that neither becomes an average or better major leaguer. There’s a 42.88% chance that one of the two becomes an average or better major leaguer. There’s a 60.63% chance that one of or both of will fail to become average major leaguers. There’s a 39.37% chance that both become an average or better major leaguers. There’s a 3.22% chance that both become all star caliber major leaguers. Whether the odds are better or worse than you expected in terms of Bichette and Guerrero Jr.’s cumulative major league outlook, it is interesting to view and discuss regardless. Them performing to the higher performance level side of the projection could have significant impact in terms of the clubs long term success. The overall conclusion I’ve reached is that fans, analysts, and executives need to be wary of becoming too attached to prospects, especially bunches of them. 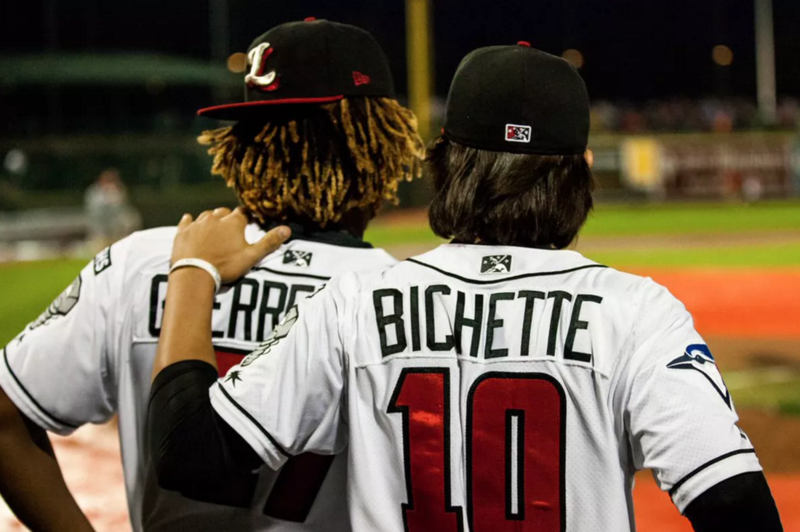 In my opinion, expecting greatness from both of Guerrero Jr. and Bichette is a recipe for disappointment, and my evidence suggests that 6 out of 10 times, at least one of them will struggle as a major leaguer. I’ll confess that on the surface this take may be unpopular on the surface, but as the saying goes, “history repeats itself”, and expecting Bo Bichette and Vladimir Guerrero Jr. to be any different is unrealistic. They are talented baseball prospects, with more significantly more talent than I could ever dream of, however automatically calling them successful big leaguers is before they’ve even advanced into single A is shortsighted and dreamy.